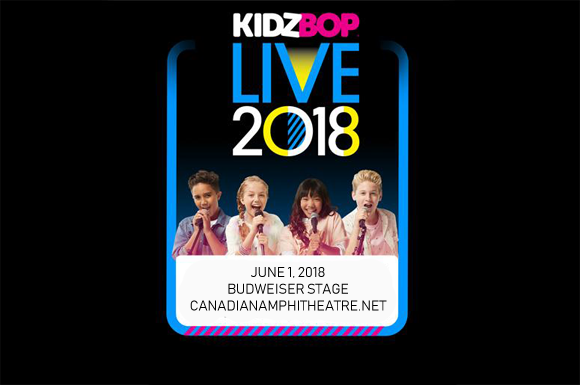 Kidz Bop Live is back! The ultimate family concert experience comes to Budweiser Stage on Friday 1st June 2018 for a show that will have everybody dancing! Join Ahnya, Cooper, Freddy, Isaiah and Julianna, plus BRAND NEW Kidz Bop Kids Olivia, Shane, and Indigo for the funnest party in town! “Sung by kids, for kids,” Kidz Bop takes the biggest chart-topping hits and makes them family appropriate, so everyone can sing along together! More than 17 million Kidz Bop albums have been sold to date, with Billboard voting Kidz Bop as No. 1 Kids' Album Artist for seven years in a row (2010 – 2016)! Now you've sung along with Kidz Bop at home or in the car, why not treat your little ones to Kidz Bop Live! Join Ahnya, Cooper, Freddy, Isaiah, Julianna, Olivia, Shane, and Indigo as they bring Kidz Bop to the stage!